With the most common chronic pain in the back, Virginia Commonwealth University researchers are testing whetherp injections of a sort of "biological putty" can help people suffering chronic lower-back pain. The substance, a growth factor called osteogenic protein 1 or OP-1, which can help regenerate or repair damaged discs, is approved by the U.S. Food and Drug Administration for investigational and humanitarian use. "This is this first study of its kind where we are actually looking at a medication’s ability to repair a disc, help regenerate it and reduce painful symptoms," said Dr. Michael J. DePalma, medical director of the VCU Spine Center. 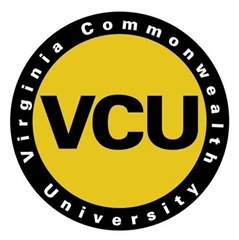 DePalma is principal investigator for the study at VCU, one of seven sites where the industry-funded research is being conducted. Candidates for the research study "are typically patients whose lifestyle has been really altered because they can’t function," DePalma said. "They can’t do things on a daily basis they really need to do. They are missing time from work. They can’t take care of chores. They can’t sleep at night because of the back pain." Rebecca Tirs, 37, enrolled in the study this year. She was in a rollover car wreck in 1999. "I had a lot of injuries; rehabilitation was two to three years," said Tirs, practice manager at a local dental office. "It changed my life completely." Getting to work was sometimes a problem, so her boss allowed her to work from her home in Chesterfield County. Chronic pain, she said, had become her "new norm." At times the pain would subside, going down to a level of one to three on a scale of 10. Around April last year, the pain started to become unbearable again. A nurse practitioner treating her referred her to DePalma. Because she is still able to have children, there was reluctance to allow her into the study, she said. She wrote a letter pleading, and after agreeing to some restrictions, she was allowed to enroll. "I thought, this could be the rest of my life, lying on the sofa, doing nothing, not even going to work," Tirs said. "I would have people come in to help with every function, even down to bathing." She does not know whether she had the study treatment or the placebo but suspects it was the study treatment because of an allergic reaction she had for two days afterward. She has noticed a slight improvement in her walk. "This research . . . is a strategy to help repair an injured disc, and therefore it makes sense to help repair injured tissue and help it regenerate rather than doing something else like heating it up, deadening the nerve endings in it," DePalma said. "Those procedures can be helpful . . . but the future is being able to understand why disc tissues are painful, how it’s injured, and directly repair that injury." That can’t come soon enough, Tirs said. "Folks in pain – we don’t always look it," she said. "We learn to deal with it, and we put on a good face. But it’s very isolating." Not all pain is as debilitating, and for many, pain is temporary. It’s not always easy to tell initially which it will be. "Pain is an indication that something’s not right," said Dr. Douglas Cutter, director of the CJW Medical Center (Chippenham) Sports Medicine Center. "If you have pain that limits the amount of activity, the intensity of activity, the range of motion of a joint, that’s significant. That is the body telling you that this is something that’s significant enough to seek medical attention." Virginia Porter can’t remember what it feels like to be pain-free. "It never goes away. There is no cure," said Porter, who has been battling pain since a bad car wreck 21 years ago. "People see us looking normal and don’t understand." Porter, who lives in the Richmond area, and others like her suffering chronic pain often find that they go for years, and from doctor to doctor, trying to find help. After the devastating car wreck Porter was in, it was two years before a doctor put a name to her lingering pain – reflex sympathetic dystrophy. "Three doctors before that said this was all in my head," Porter said. Doctors don’t know what causes the pain disorder, also called complex regional pain syndrome, but research indicates it can develop after trauma and surgery. One characteristic is that it tends to worsen over time. Treatments include medications, including pain relievers and muscle relaxants, or physical rehabilitation. Cutter said various therapies can help relieve pain. Anti-convulsants, for instance, have been shown to help some people suffering with fibromyalgia, a chronic pain condition. "That’s a tough patient to be – someone in chronic pain," Cutter said. "It’s a tough way to live." Contact Tammie Smith at [email protected] or (804) 649-6572.